This review contains mild spoilers for The Dark Griffin. Arren Cardockson is dead… but something won′t let him rest. Hated and hunted, Arren′s only ally is Skandar, the monstrous man-eating dark griffin. Together they must reach the cold North, where they may be able to hide from Erian, vengeful son of the murdered Lord Rannagon. Then Arren meets the ferocious and mysterious Skade, and he begins to believe that she might know the way to lift his curse and make his dead heart beat again. Ostracised from society and wanted for murder by former colleagues and peers, Arren runs to the North with only the fearsome Skandar for company. While the first book in this series is focussed on Arren’s rapid estrangement from his friends and family, The Griffin’s Flight deals his struggles to accept his heritage and come to terms with the drastic changes his life has seen over the past few months. Planning to escape to the North and live amongst his people, Arren begins to understand, for the first time, the plight of the Northmen as the slave-class in Cymria. In many ways this book is a lot more personal than its predecessor and allows us rare glimpses into Arren’s heart. Arren and Skandar develop a lot throughout the novel and strengthen their bond over time. Arren becomes stronger and more self-sufficient, but is increasingly troubled – plagued by the things he has had to endure to retain his freedom. In contrast, Skandar almost seems blithely unconcerned about everything, as long his end-goal of a new mountain home is fulfilled. In my review of The Dark Griffin I mentioned that the ‘voices’ of the griffins sounded human to me. In this book the other-ness of the griffins is more pronounced and I found I enjoyed getting glimpses into their unique world view. It also helps that Skandar now has a better command of the griffish language. I love Taylor’s writing style because the prose is direct and honest, perfectly fitting the mood of this dark fantasy. The plot is not overly dramatic but always keeps one at the edge of their seat. Arren and Skandar are constantly in danger and treat everyone they meet with mistrust, but their situation doesn’t degenerate to seem absurd. In comparison to The Dark Griffin, I found the writing in this book tighter and more engaging, and although I was expecting a different conclusion and was taken by surprise at the end, I still enjoyed the reading experience a lot. 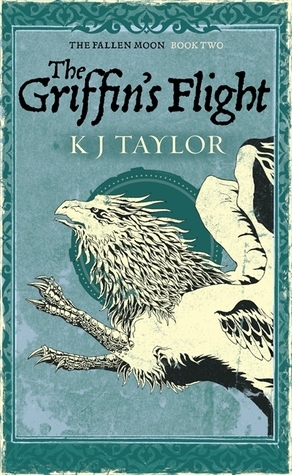 The Griffin’s Flight is a wonderful continuation of the saga of Arren’s life as he struggles to find where he belongs in a divided world. I love seeing the rich world Taylor has created unfold as I read! An example of excellent Australian Fantasy, I believe this series will be enjoyed equally by both avid fans of the genre and newcomers. 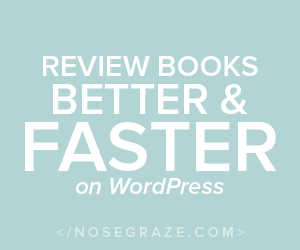 I had no idea this was by an Aussie author and it definitely has me interested, great review!